Lathe Cut Camp 5! TP and Rarities GIVEAWAY, ETC! Lathe Cut Camp! Cleaning House! 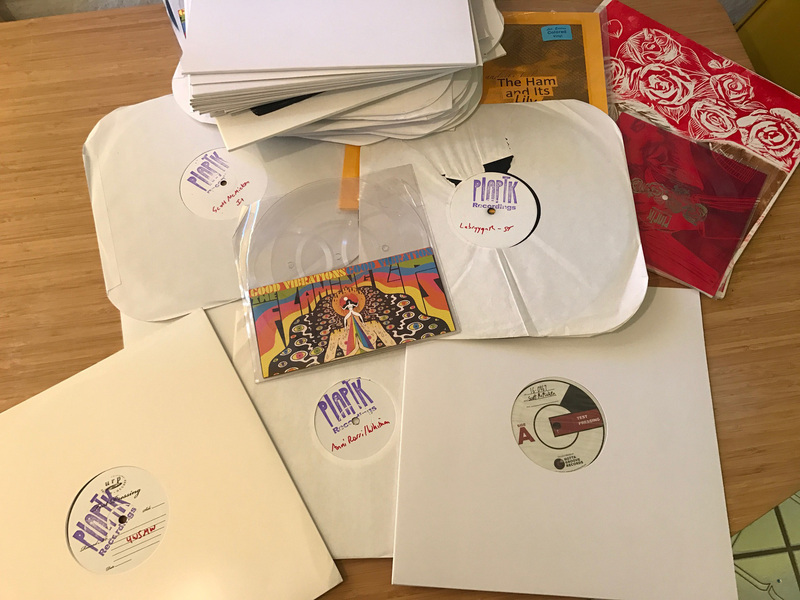 Giving away a ton of test pressings and archives copies and dropped the prices of most of the distro records to $7. 1. Lathe Cut Camp Five! 2. Buy our K Records, Orindal, Folktale, Etc Distro records for as low as $3!! 3. New PIAPTK interview up with New Commute here! Spend three days in scenic Tucson, AZ learning (almost) everything you need to know about DIY Record Cutting! The focus of this camp will be on mono "semi-professional" machines, with particular focus on Presto 6Ns, which are one of the most common and affordable vintage machines around. You can do some amazing things with these incredible machines, and I will show you how. Bring your own music and we will put it onto discs for you to take home. 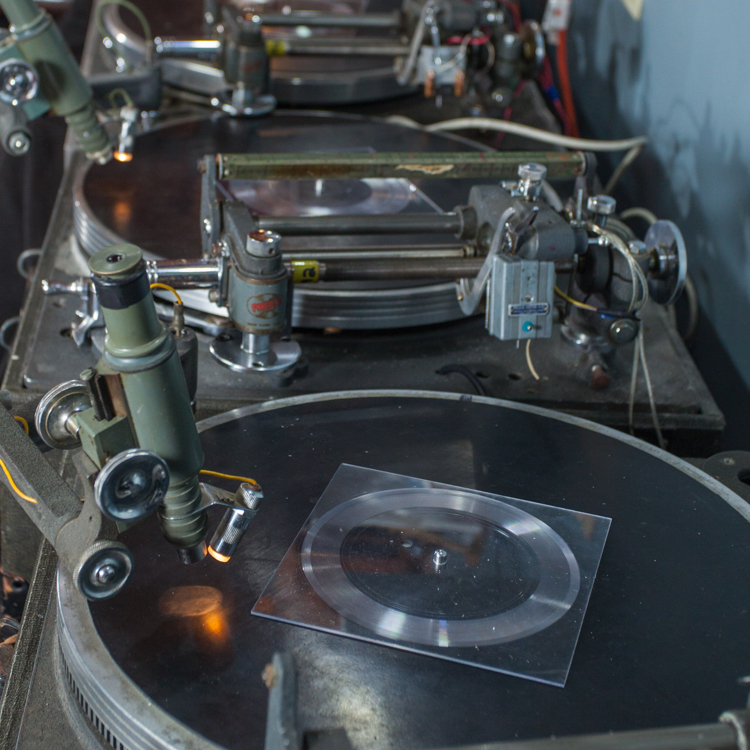 We will touch on professional record mastering/pressing, but my main interest and experience, and the focus of this camp will be on the more DIY and experimental side of the hobby. There are only 6 spots available, so buy early because every previous camp has sold out! Please Note: You are responsible for your own transportation to/from Tucson and your accommodations. However, the hotels here are pretty damn cheap. And, if you want, I've got a cute mid-mod casita mother in law next to my house that I rent on airbnb, that can be yours for the whole stay for $200. You can also stay in my spare bedroom for $125. FREE TEST PRESSINGS AND RARITIES! As usual, our operating budget can’t keep up with our release schedule, so it’s time to raise some money...again :-( So, we are cleaning out the archives more and offering them up FOR FREE for those adventurous souls who love records, have some expendable income, and want to help support our little weirdo vanity label so we can continue vainly releasing weirdo artifacts. With every release, we hold back a handful of copies for various reasons: 1) for our archives 2) so that if something happens in the post (lost/damaged, etc) or with the website, we have replacements 3) Accidental oversells, 4) In case one of the handful of our super regular customers misses out on something we can hook them up, etc. This is especially true for records we know will sell out immediately, so we keep even more of them. The ethical quandary I find myself in is that these releases end up (sometimes not much) later selling on ebay and discogs for ridiculous amounts. I don’t want to take advantage of people who really wanted one but missed the initial sale, but I ALSO don’t want to sell one for the original price to someone who is just going to turn around and jack up the price and take advantage of people who really wanted one but missed the original sale. I ALSO don’t need to keep 10 copies of each packed away in a box in the lathe cave. My main fantasy about these larger releases is that people will learn about PIAPTK through them and hopefully check out all the other artists that I love and work so hard to promote. So, I came up with this offer that hits all three objectives: Raise a little money without price gouging, turning people on to our other artists, and getting these valuable rarities out of the basement. JUST ADD THE ITEM TO YOUR CART AND THEN PURCHASE AT LEAST $250 WORTH OF OTHER RECORDS (must be included with an order of $250 or more, or free disc will NOT be included in the shipment!). We've still got a small selection of K Records, Orindal, Burger, New West, Polyvinyl, etc records that we swap PIAPTK records for with labels we love. We just want to move them out, so they've all been marked down from $3-10. 1) Help The FATHER of Lathe Cut Records, PETER KING! Kris Dorr and I made the pilgrimage down to New Zealand this January to hang out with the one and only Peter King. While it was amazing meeting and hanging out with the man who spawned an entire weirdo niche industry of alternative material records, it was also pretty depressing. Due to his luddite, non-technological approach (he has never used a computer), and the influx of new lathe cutters (and I would be lying if I didn't feel a lot of responsibility for some of them), Peter's orders have dried up to literally none. He could also use some new orders, so as much as I hate sending jobs to the competition, Peter could really use the work. Help the Godfather of Lathe Cut Vinyl Records, Peter King! 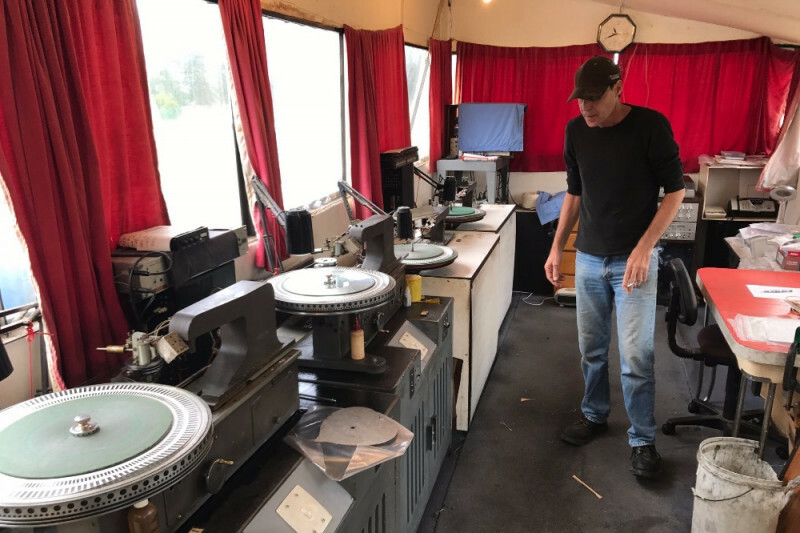 Peter King has been making very short run custom records for thousands of bands all over the world for the last 30+ years. But now, a horrible car wreck has left him mostly blind (despite two eye transplants), and his “old-school” approach to technology (he has never used a computer) have made it very difficult for the man who invented the alternative material record to compete with dozens of new companies offering the services he invented and built a market for. His order requests have slowed to almost zero over the last year and he is now living off of a credit card (which is maxed out). 1) To get Peter a computer and online so he can begin taking emails, online payments, and accepting digital downloads. Customers currently have to snail mail CDs, international wire transfer payments, and call or fax Peter if they want to get ahold of him. This extra work in the digital age has sent customers to other suppliers, despite Peter’s reputation and experience. 2) Launch a PR and outreach campaign to Peter’s former and potential clients. 2) Buy a backup lathe. Peter has the opportunity to buy an extra lathe for a very reasonable price. He currently has four (two of which he built himself out of washing machine parts with some very crafty DIY ingenuity), but after decades of use and on the fly repairs taking their toll, he needs an extra machine for parts. 3) Help pay down his debts. Between medical bills and living expenses while he was unable to work/had declining orders, Peter has tens of thousands of dollars in debt. Any small bit that we can pay down would be immensely helpful. Peter King making lathe cut records in (ADD YEAR??). Using techniques and materials that he developed, he was the first to offer small bands an alternative to the standard record pressing process that required orders of 500+ and investments of thousands of dollars. You could order 20 copies for $100. This made the vinyl record dreams of thousands of bands that would otherwise never have come true. But amongst the scores of small and unknown bands were some pretty huge names. Peter made records for bands like The Beastie Boys, Donovan, and Pavement. Peter built his own machines and techniques from the ground up. There is now a thriving hobbyist and small business niche that completely owes it’s existence to him. Collectively, hundreds of thousands of music fans and artists have been touched by Peter’s influence. I have known Peter for over ten years. He is kind and extremely generous with his knowledge and experience. And I am trying to pay him back for all that he is done for myself and the lathe cut record community by giving him the funding and computer skills he needs to continue to be competitive in the digital age. Peter’s work is his life and our goal is to get him back to work. Thank you for your help!